These are scriptures from God’s Word on fear. All the scriptures in this section are from the Amplified Bible unless otherwise stated. Stronghold of my life–of whom shall I be afraid? Say to those who are of a fearful and hasty he art, Be strong, fear not! Behold, your God will come with vengeance; with the recompense of God He will come and save you. Fear not [there is nothing to fear], for I am with you; do not look around you in terror and be dismayed, for I am your God. I will strengthen and harden you to difficulties, yes, I will help u; yes, I will hold you up and retain you? with My [victorious] right hand of rightness and justice. And Moses said to the people, Fear not; for God has come to prove you, so that the [reverential] fear of Him may be before you, that you may not sin. Only do not rebel against the Lord, neither fear the people of the land, for they are bread for us.? Their defense and the shadow [of protection] is removed from over them, but the Lord is with us. Fear them not. It is the Lord Who goes before you; He will [march] with you; He will not fail you or let you go or forsake you; [let there be no cowardice or flinching, but] fear not, neither become broken [in spirit–depressed, dismayed, and unnerved with alarm]. Joshua said to them, Fear not nor be dismayed; be strong and of good courage. For thus shall the Lord do to all your enemies against whom you fight. There is no fear in love [dread does not exist], but full-grown (complete, perfect) love turns fear out of doors and expels every trace of terror! For fear brings with it the thought of punishment, and? [so]? he? who? is? afraid? has? not reached the full maturity of love [is not yet grown into love’s? complete perfection]. The Lord said to him, Peace be to you, do not fear; you shall not die. 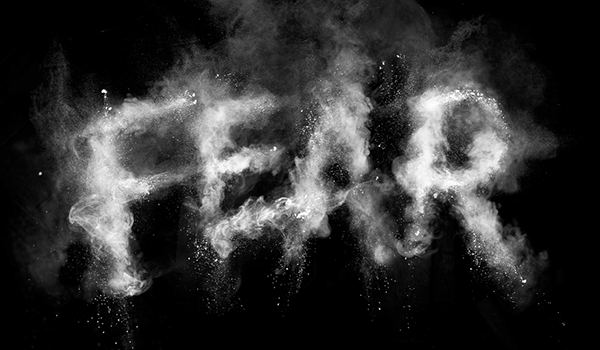 The following is a list of scriptures on fear. Use them when fear is attempting to come. Fear does not necessarily mean danger, it simply means fear. We associate fear with danger because that is how our body interacts with our God given motivation for self preservation. When we go into a dark room, we might sense fear, especially if we are apprehensive about the dark, but that does not mean that there actually is a danger. It only means that there is an unknown, and that unknown can breed fear – fear of the unknown. To fight the fear of the unknown, counteract it with faith based on the known;? the known will of God. All Scriptures are from the King James Version. The LORD is my shepherd; I shall not want. He makes me to lie down in green pastures: he leads me beside the still waters. He restores my soul: he leads me in the paths of righteousness for his names sake. Yea, though I walk through the valley of the shadow of death, I will fear no evil: for thou art with me; thy rod and thy staff they comfort me. Thou prepares a table before me in the presence of mine enemies: thou anoints my head with oil; my cup runs over. Surely goodness and mercy shall follow me all the days of my life: and I will dwell in the house of the LORD for ever. The LORD is my light and my salvation; whom shall I fear? the LORD is the strength of my life; of whom shall I be afraid? When the wicked, even mine enemies and my foes, came upon me to eat up my flesh, they stumbled and fell. Though an host should encamp against me, my heart shall not fear: though war should rise against me, in this will I be confident. One thing have I desired of the LORD, that will I seek after; that I may dwell in the house of the LORD all the days of my life, to behold the beauty of the LORD, and to inquire in his temple. For in the time of trouble he shall hide me in his pavilion: in the secret of his tabernacle shall he hide me; he shall set me up upon a rock. And now shall mine head be lifted up above mine enemies round about me: therefore will I offer in his tabernacle sacrifices of joy; I will sing, yea, I will sing praises unto the LORD. When I cry unto thee, then shall mine enemies turn back: this I know; for God is for me. In God will I praise his word: in the LORD will I praise his word. In God have I put my trust: I will not be afraid what man can do unto me. Be? not? afraid? of? sudden? fear,? neither? of? the? desolation? of? the? wicked,? when? it? comes.? For? the? LORD shall be thy confidence, and shall keep thy foot from being taken. comes, but her leaf shall be green; and shall not be careful in the year of drought, neither shall cease from yielding fruit. And we know that all things work together for good to them that love God, to them who are the called according to his purpose. For whom he did foreknow, he also did predestinate to be conformed to the image of his Son, that he might be the firstborn among many brethren. Moreover whom he did predestinate, them he also called: and whom he called, them he also justified: and whom he justified, them he also glorified. What shall we then say to these things? If God be for us, who can be against us? He that spared not his own Son, but delivered him up for us all, how shall he not with him also freely give us all things? Who shall lay any thing to the charge of Gods elect? It is God that justifies. Likewise, ye younger, submit yourselves unto the elder. Yea, all of you be subject one to another, and be clothed with humility: for God resists the proud, and gives grace to the humble. Humble yourselves therefore under the mighty hand of God, that he may exalt you in due time: Casting all your care upon him; for he cares for you.